‘Bully’ Richie Incognito Plotting NFL Return with Tampa Bay? 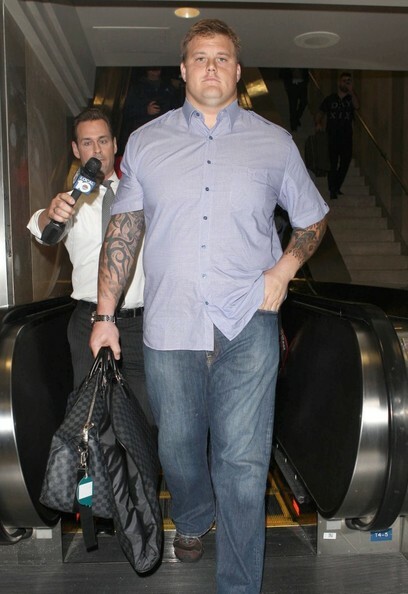 Former Miami Dolphins football player Richie Incognito Arriving on a flight at LAX in Los Angeles, California on November 8, 2013. *Richie Incognito is visiting the Tampa Bay Buccaneers on Monday in his first trip to a team’s facility since he was implicated in the Jonathan Martin bullying scandal with the Miami Dolphins last season, a team source told ESPN.com. 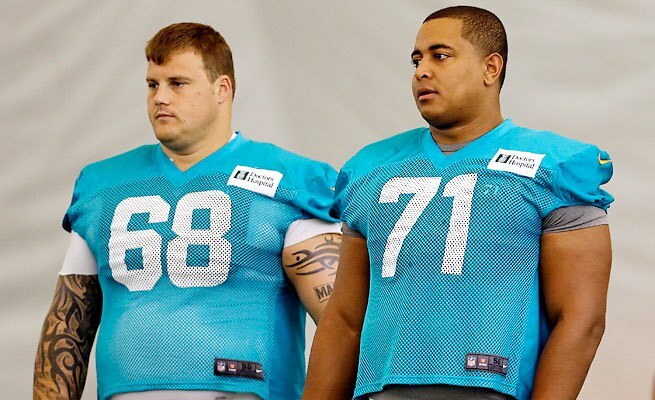 An NFL investigation determined that he and two other Dolphins offensive linemen (John Jerry, Mike Pouncey) engaged in persistent harassment of Martin, who left the team in October. Incognito was suspended and missed the final eight games. He became a free agent when his contract with the Dolphins expired. The team official said the Buccaneers are doing their due diligence and a signing isn’t necessarily imminent. Both quarterback Josh McCown and defensive tackle Gerald McCoy said Monday that there wouldn’t be a problem in the locker room if Incognito is signed. McCown said he trusted the judgment of general manager Jason Licht and coach Lovie Smith. “No matter who it is, if anybody becomes an addition to our team, the thing that Lovie always talks about is embracing them and making them feel like one of us,” McCown said. “We feel good about our locker room and feel good about the ability to add anybody and be able to embrace him and help him be a part of the Buccaneers,” he added. Earlier this month, Smith was asked about potential interest in Incognito after his interior offensive line struggled in the preseason opener. The 31-year-old Incognito, an offensive guard, has played in 102 games (all starts) over eight seasons with the Dolphins, Buffalo Bills and St. Louis Rams, who selected him in the third round of the 2005 draft. Earlier this year, NFL commissioner Roger Goodell said the three players named in the league’s investigation into the Dolphins bullying scandal must be evaluated by medical professionals and complete treatment before they will be allowed to return to the playing field. Goodell said earlier this month during the Pro Football Hall of Fame weekend that all three players have fulfilled league requirements so far. Jerry, who also became a free agent after last season, has since signed with the New York Giants. Pouncey is the only one among the three named players to remain with Miami. Martin was traded to the San Francisco 49ers.